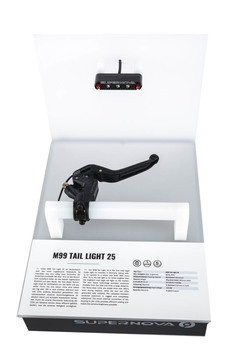 Our M99 Tail Light 25 is the first tail light with integrated brake light, approved by the latest German road regulations in effect since June 2017. With more than 70lx, the tail light is 6 times brighter than the brightest road legal tail light on the market. The twin beam technology provides maximum visibility from the side and from a large distance. 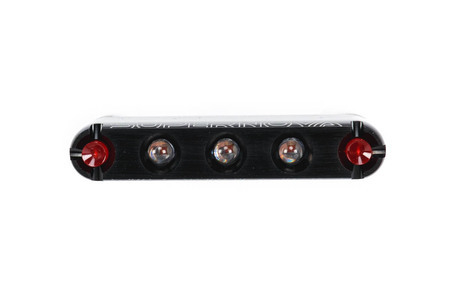 The three clear LEDs are visible from over 300m even during daytime, while the two red LEDs guarantee side visibility. The saltwater-resistant anodized aluminum is rugged and completely waterproof. The smart thermal connection of the housing to the LEDs provides efficient cooling and makes the extreme brightness possible. 5-years warranty. 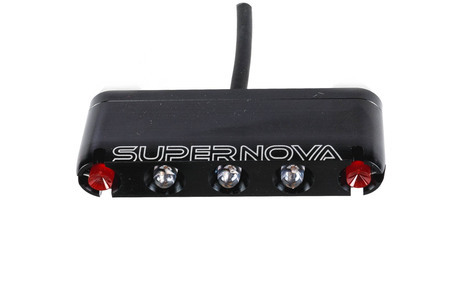 The brake light is small, very bright and complies with road traffic regulations. There are many options for mounting it on the bike. From the aspect of safety, we like the fact that it reacts to even a slight contact with the brake lever.